Dell & Schaefer is committed to the communities we serve. The core philanthropic mission of Attorneys Dell & Schaefer Charitable Foundation is to keep children safe and help them in times of need. 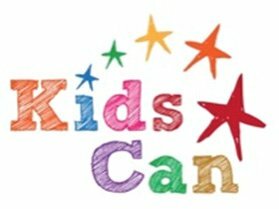 This year we have partnered with Kids Can a nonprofit organization with a mission to unlock the potential in our children by enabling them with the opportunity to give back to the community and enrich the lives of children who may be less fortunate. Kids Can primarily focuses on teaching and empowering kids to help their community. It is a charity that is run by children, ages are 5-11, who organize fundraisers throughout the year and decide in what capacity to best use the funds raised to help the community. Dell & Schaefer believes that everybody has the ability to make a difference. In addition to financial support, Dell & Schaefer has committed the human resources of our associates and their children to positively impact our communities by volunteering at Kids Can events.